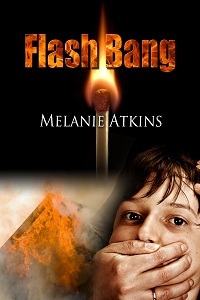 Melanie Atkins’ FLASH BANG now available! Melanie Atkins is best known for her ‘New Orleans Detective’ series from Desert Breeze Publishing, which just now released the sixth in the series. Now, she has released a new mystery thriller – FLASH BANG – through Whiskey Creek Press, LLC. Alot can change in ten years, Special Agent Noah Sterling has gone from a small town guy to an FBI agent who is tracking a domestic terrorist unit. His mission has taken him back to his hometown of Magnolia Springs, MS. Here, he has to face another possible change of ten years – could his high school sweetheart, Allie, be connected to this unit? Allie Robbins, formerly Allie North when Noah knew her, was married to Marshall – the man who held the purse strings of the terrorist unit. Now Marshall is dead, she is back in Magnolia Springs, and is the current FBI suspect concerning the terrorists activities. Noah has been assigned to discover the truth. Allie is not afraid, she is innocent… of terrorist activity. But there is another secret, one she has been holding for ten years. Only when her son, Caleb, is taken does her fear surface – that Noah will learn what she has been hiding from him. Interested? Great! Pick up a copy!